Originally from Italy but now a proud Londoner, Pagano is arguably the most successful DJ and Producer to come out of the London gay scene during the last decade and has been recently described in the most important club-culture publication in the world ‘DJ Mag’ as “mind-blowing”. Pagano’s impressive selection of releases supported by the biggest DJs in the business and years of DJ gigs at the most important straight venues and gay events in the world, have helped bridge the gap between the two scenes. 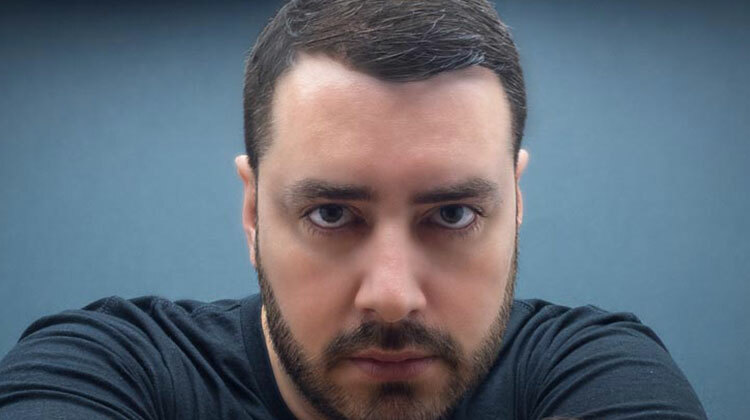 As a producer, Pagano has completed a number of releases on many prestigious labels worldwide such as Mark Knight’s label TOOLROOM Records (UK), Cr2 (UK), My Digital Enemy’s ZULU (UK), UMEK’s label 1605, DJ Chus’ label STEREO PRODUCTIONS (Spain), Stefano Noferini’s DEEPERFECT (Italy), HOTFINGERS (Italy), TWISTED (USA), NERVOUS (USA), TOMMY BOY (USA), KULT (USA), S2G (Germany), PACHA Recordings and many others. Pagano’s productions have been supported during their DJ sets and Radio Shows, by a variety of DJs including big names such as: CARL COX, UMEK, DANNY TENAGLIA, CHUS & CEBALLOS, ROGER SANCHEZ, STEFANO NOFERINI, TIESTO, WALLY LOPEZ, PAUL VAN DYK, FERGIE, CEVIN FISHER, BOB SINCLAR, QUENTIN HARRIS, DANNY RAMPLING, ABEL, DJ VIBE, DUBFIRE, SISTER BLISS, PROK & FITCH, HOXTON WHORES, and many others. Throughout the years Pagano’s original productions and remixes have reached the Top Ten of the official dance charts in the UK, USA, Germany, Italy including the Billboard, DMC and Buzz charts and have been played in the dance music programmes of radios as important as the British BBC Radio 1. The majority of Pagano’s single and compilation releases have stormed the sales charts in all the major digital music stores worldwide including a #4 in the iTunes Dance Album Chart in Europe and two #1 in the Beatport House and Beatport Techno releases TOP 100 sales charts.